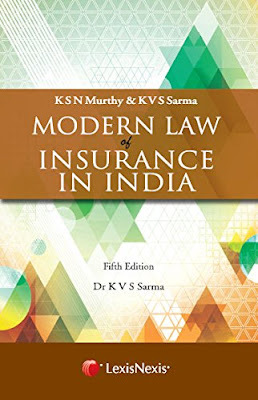 Softcover Modern Law of Insurance is authority on the subject of insurance and has been a key text of professionals and students of law for over 3 decades. It is a thematic treatment to the laws applicable to various kinds of insurance prevalent in India. The present edition is being brought out after a long gap and during this time the sector has undergone many changes. This edition has updated case law for the period 2004 to 2013 including cases on consumer protection. A fresh chapter has been added to cover all the recent developments in the insurance sector. in addition two new appendices are added, the first contains extracts of Financial Sector Legislative committee's recommendations to set up a super regulator while the other includes the highlights of insurance Amendment bill, 2008.